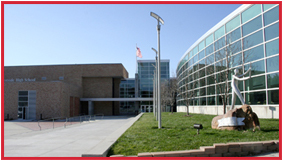 The Westside Community Schools Foundation in Omaha, Nebraska was established in 1974. Dedicated to preserving Westside Community Schools’ commitment to excellence in public education, the Westside Foundation is one of the earliest educational foundations in the country. The Foundation raises private funds to support the continuing improvement of educational programs offered by Westside Community Schools in Omaha, including student scholarships, teacher recognition, classroom grants, facilities improvement, and support where tax dollars are not available. Supporters and donors include alumni, district residents, businesses, teachers, staff, parents, and friends who share a belief that strong public education is essential to the quality of life and future well-being of our community. The Foundation works closely with the Westside Community Schools in a unique partnership, identifying needs and opportunities where its efforts can make a difference to teachers and students. The Foundation seeks out and supports innovation and leadership among teachers and students at all levels.